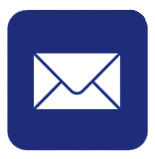 There are countless multivitamins and supplements out there that aim to improve health. However, most of them are chemically synthesized in a lab to create their health benefits. Alive! 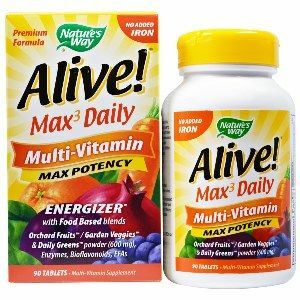 Multivitamin Whole Food Energizer by Nature’s Way is a nutritional supplement created from natural whole foods and super foods. Everyone knows the best way to get nutrition is by eating fresh, whole foods such as fruits and vegetables. Unfortunately, most people don’t get enough fruits and veggies into their diet on a regular basis. Therefore, Alive! Multivitamin Whole Food Energizer is a great alternative to achieving optimum health and wellness a more natural and effective way. The rich nutrients found in Alive! 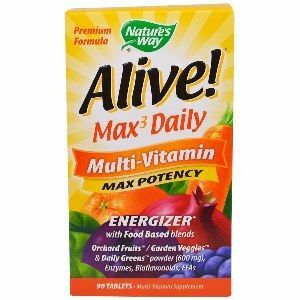 Multivitamin Whole Food Energizer work in numerous ways to maximize health. 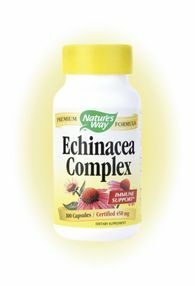 They improve the healthy function of all the body’s systems and help to head off a variety of chronic illnesses and degenerative conditions. This nutritional supplement made of whole and super foods helps to increase energy levels, supports mental clarity, and boosts immunity. 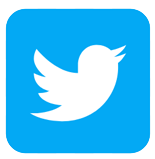 It can help to reduce the occurrence and severity of depression and anxiety. Alive! Multivitamin fights against cancer, diabetes, heart disease, liver disease, obesity, malnutrition, osteoporosis, nervous system disorders, irritable bowel syndrome, and other digestive disorders. Alive! Multivitamin gives the human body the potent nutrition and support it needs to operate the way it was designed to; healthfully and happily. Alive! Multivitamin Whole Food Energizer contains powerful ingredients derived from green foods, whole foods, and other vital nutritional sources. Two important ingredients in Alive! Multivitamin is spirulina and chlorella. 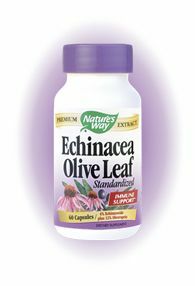 Both ingredients contain chlorophyll, which helps to detoxify the liver and cleanse the circulatory system. Spirulina is a great source of digestible protein and is especially valuable for its rich phytochemicals and their cancer-fighting potential. Chlorella contains Chlorella Growth Factor (CGF), which works to rebuild damaged nerve tissue. 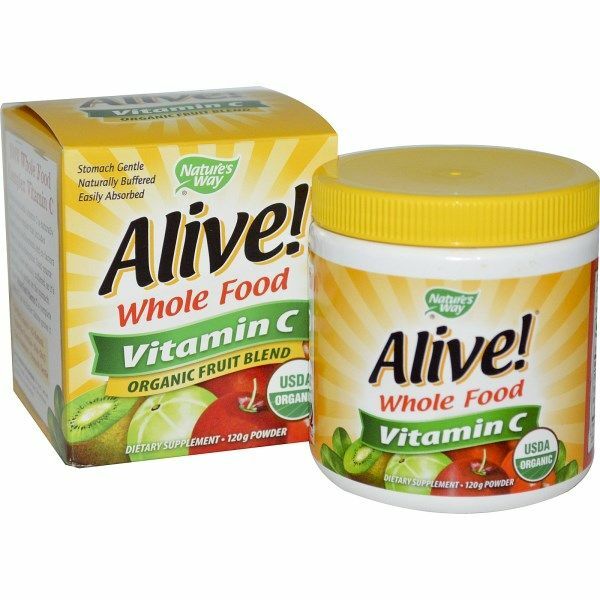 Other powerful, nutritional ingredients contained in the green foods category of Alive! Multivitamin include barley grass and wheat grass, which is a potent cancer-fighter due to its phytochemicals. Dandelions are also an important nutritional addition to Alive! 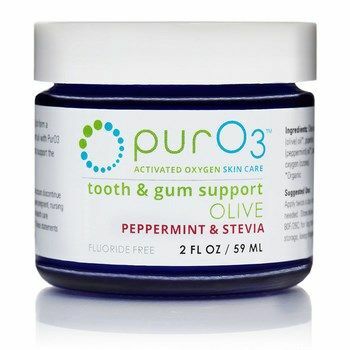 as they work to regulate blood sugar levels and support healthy liver function. The green foods in Alive! Multivitamin provide an important source of amino acids. Each serving of Alive! contains 100 mg of a blend of garden vegetables such as kale, spinach, brussel sprouts, cabbage, parsley, carrots, and more. This is crucial because it helps to supplement that lack of veggies most people experience in their daily diet. Alive! Multivitamin Whole Food Energizer also contains a valuable blend of orchard fruits including cranberries, strawberries, plums, blackberries, cherries, blueberries, bilberries, oranges, and the list goes on. The orchard fruit blend is extremely beneficial because it provides more powerful phytochemicals and antioxidants necessary for fighting cancer and protecting the body from damaging free radicals. 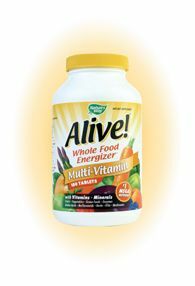 The MycoDefense Mushroom Blend is another important ingredient in Alive! Multivitamin as much research has shown the efficacy of these medicinal mushrooms in boosting immune system health and helping to fight cancer. Similarly, Alive! 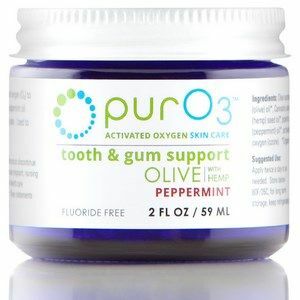 also contains an impressive citrus bioflavonoid complex that injects the body with extra immune-enhancing phytochemicals. Finally, Alive! Multivitamin Whole Food Energizer contains 100 mg of a digestive enzyme blend that serves the vital role of helping the body most effectively digest all of the multivitamin’s nutrients so that the body can glean the maximum amount of nutrition from the whole foods and super foods supplement. Nature's Way Alive! 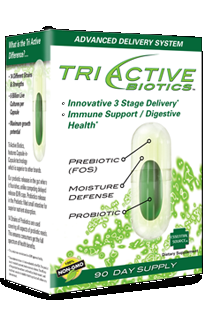 is full of vitamins and nutrients and will keep you energized throughout the day. Nature's Way Alive! contains life-giving nutrients from more sources than any other supplement. New Alive! 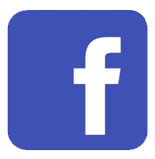 Once Daily for Women 50+. The most nutritionally diverse once daily formula. Alive! 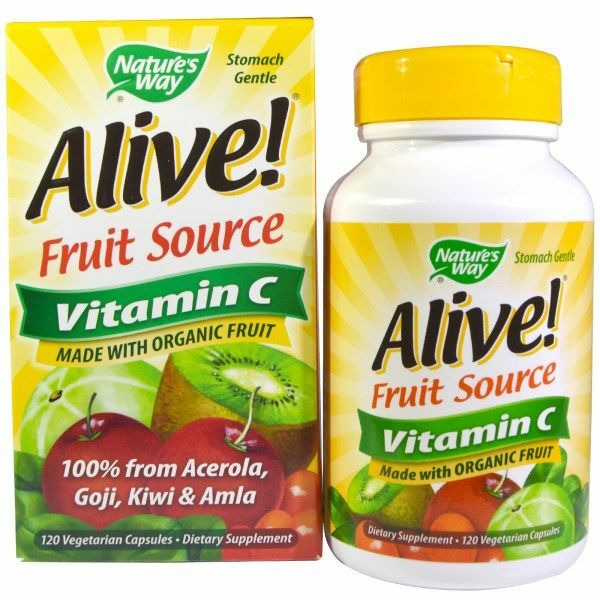 Vitamin C capsules from Nature's Way made with USDA Certified Organic Fruit. Alive! Liquid Multiple supplying the body with vital vitamins and minerals from fruits, vegetables & other green foods, herbs, amino acids, and mushrooms- a naturally potent whole food energizer. NEW Alive! Once Daily Multivitamin has a higher potency of vitamins/minerals, extra B-vitamins for energy; plus 1,000 IU of Vitamin D. It is the only "once daily" with 26 fruits and veggies plus 14 green foods, 12 organic mushrooms, 12 digestive enzymes, resveratrol, CoQ10 and lutein. NEW Alive! Once Daily for Men has a higher potency of vitamins/minerals, extra B-vitamins for energy; plus 1,000 IU of Vitamin D. It is the only "once daily" with 26 fruits and veggies plus 14 green foods, 12 organic mushrooms, 12 digestive enzymes, resveratrol, CoQ10 and lutein. NEW! 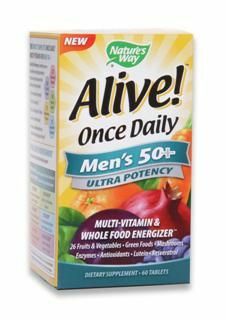 Once Daily Multivitamin for Men 50+ Ultra Potency. Multivitamin and Whole Food Energizer. 26 Fruits & Veggies. Green Foods. Mushrooms. Enzymes. Antioxidants. Lutein. Resveratrol. Alive! Whole Food Complex Vitamin C from Nature's Way is made with 100% USDA Organic Fruit! Alive! Goji Berry Juice from Nature's Way is Kosher and 100% Certified Organic, providing whole fruit antioxidants, amino acids, and essential vitamins and minerals. New Alive! Once Daily Women's Multi Ultra Potency. The most nutritionally diverse once daily formula. Alive! represents the new thinking in supplements for daily health and energy, with a greater diversity of specially balanced nutrients. Alive! 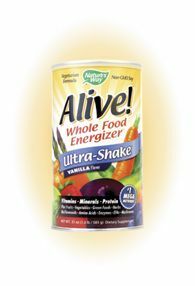 Ultra-Shake is the ultimate whole food nutritional energy source. Alive! Mangosteen Juice from Nature's Way is made from one of the tastiest fruits known to man and is rich in antioxidants and trace minerals. 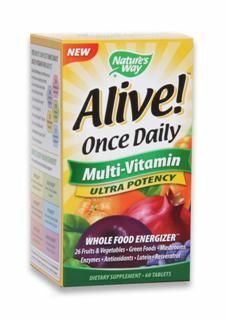 Alive Power Active Juice from Nature's Way combines 4 Superfruits Goji, Mangosteen, Pomegranate, and Aa for antioxidant protection and energy. Alive! 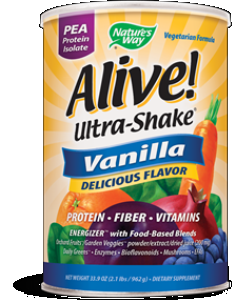 Ultra Shake is the ultimate nutritional energy source. 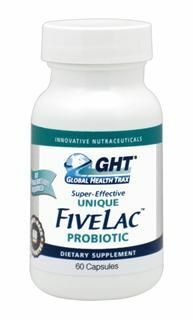 It's also a comprehensive, whole food multi-vitamin with the added benefit of Solae soy protein. Alive! 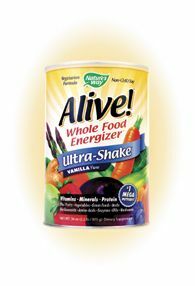 Whole Food Energizer Ultra-Shake Vanilla Flavor is much more than just a multivitamin supplement. Just add a scoop to water and you are on your way to all day energy. Pure Olive Oil Soap by Kiss My Face is a natural cleansing and moisturizing soap. More than an extract and better than dried and processed pills, Barleans Olive Leaf Complex contains a broad spectrum of beneficial olive leaf actives resulting in a powerful synergy for your vibrant health and energy. Enjoy the natural health benefits of Pomegranate Seed Oil by Pomegranate Health. Potent anti-wrinkle and anti-aging benefits. 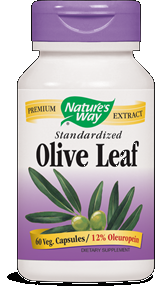 Olive Leaf Extract can be taken as a preventive measure, to nutritionally support keeping harmful microbes at bay, and also to nutritionally support the elimination of harmful microbes in acute situations. 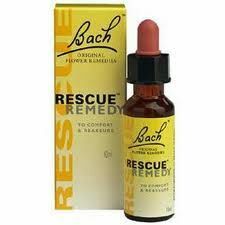 Rescue Remedy from Bach Original Flower Essences is an all-natural way to relieve stress and anxiety, and is safe and effective in children and adults alike. 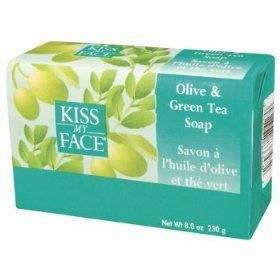 Pure Olive & Green Tea Soap from Kiss My Face containing olive oil and green tea for healthy skin. 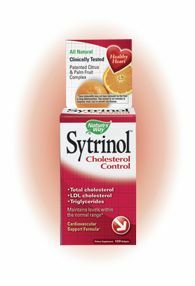 Sytrinol helps maintain healthy cholesterol levels by regulating the amounts of cholesterol produced by the liver. Black Ointment supports healthy skin. 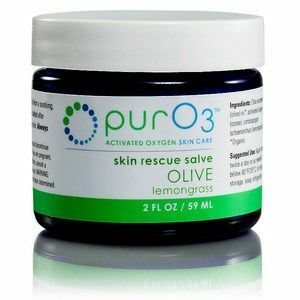 It moisturizes and soothes. 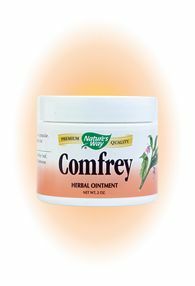 It also helps relieve skin irritations. 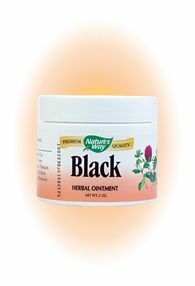 Enjoy the natural healing power of Nature's Way Black Ointment. 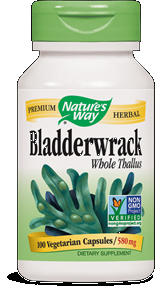 Nature's Way Bladderwrack Capsules are a natural source of minerals including iron and iodine. 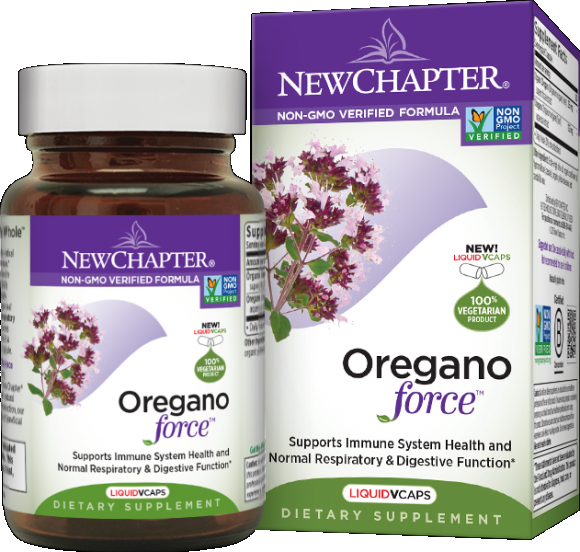 Oregano Force from New Chapter 100% Organic Oregano Supercritical Extraction for enhanced Immune Function, Hormonal Support, and more. 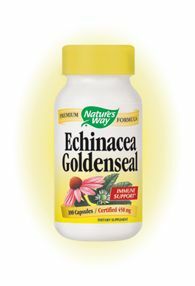 Nature's Way HAS Original Formula is a completely natural product designed to safely decongest and is non-stimulating. 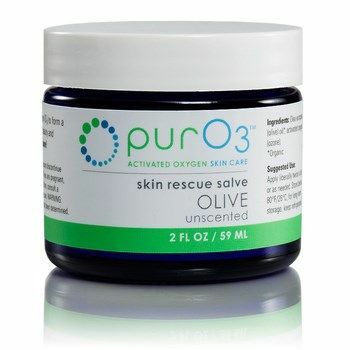 Olive Leaf Complex is widely used around the world as a health tonic and all-purpose powerful antioxidant, in the event of colds, flu or infection and to promote optimum health, in general. 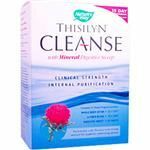 Thisilyn Cleanse with added minerals for an easy 15 Day Program to cleanse the body and liver & optimizes bile flow. Nature's Way Bone, Flesh & Cartilage Ointment is an all-natural blend that helps support the cartilage, flesh, and bones of your body.It is time-tested. 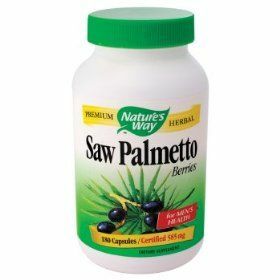 Nature's Way Saw Palmetto Berries provide a natural remedy for prostate problems, also maintaining a healthy urinary tract system. 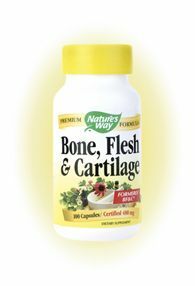 Nature's Way Bone, Flesh & Cartilage is an herbal formula that helps support healthy flesh, bone and cartilage. 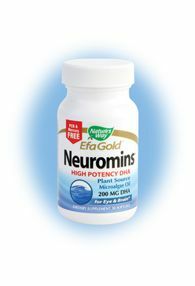 Nature's Way EFA Gold Neuromins provides a non-fish source of essential fatty acids, building healthy bones and immune systems, while contributing to improved cardiovascular health and healthy brain and visual development in infants. Nature's Way Naturalax 3 contains aloe vera. 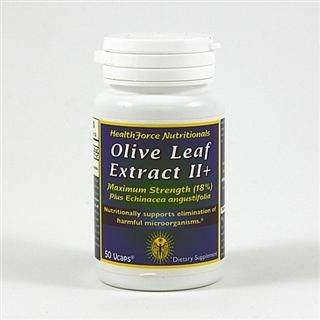 Olive Leaf Extract II+ (100 caps) from HealthForce offers immune boosting support and protection from harmful microorganisms.